Hello my lovely readers and wait, before you ask me why this isn't a back to school supplies haul I promised you this morning, well... I have a good reason for not posting that now. Since I've been doing a lot of things today (holiday is coming as well as the school) and I forgot to put my batteries for camera to charge so when it was like 7pm , I remembered I should've charged them but it was too late. They need like 3 hours to charge and till they would've charge this evening, it would be too dark to take quality photos without the flash light, and I don't know why but I like photos taken with natural light more. So that was a long reason but I needed to explain why I didn't respect my promise this time. I am planning to publish that post tomorrow! For this evening, I decided to also do a back to school post which would be just second post of that kind on my blog this year and the school is coming pretty fast, I'm sorry I didn't post more before about this topic, but I am planning to, I have some great ideas on my mind which I just need to turn into posts. 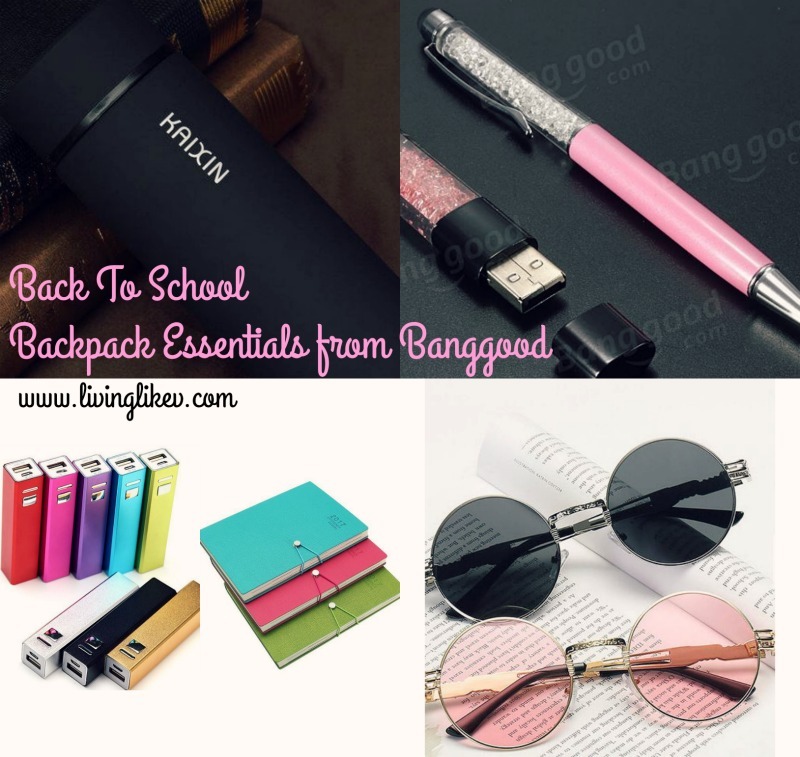 About this post, I decided to take one of the best web shops out there to find some of the items I consider as backpack essentials for school and share them with you. Hope you will enjoy and it would help you! 1. The first thing is this water bottle which looks pretty elegant and I would definitely buy it. You gotta stay hydrated during the school time. 2. The second is this amazing thing I found, a set with a pen in glittery style and a matching USB flash drive which we all need for school. 3. Next we have something we all need for the times when you forgot to charge your mobile overnight and you are at school, your mobile is dying and you have to make after school plans or take a selfie with your classmates but you cannot ... Now you can! Just charge it with these super cute power banks! 4. The next item would be a planner. You need to stay organized if you don't want to forget about your school assignments ! 5. The last, but definitely not least, you always need a pair of sunglasses in your backpack's pocket, especially if they are as cute as these are! So that was all for this post! Really hope you've liked it! Jako interesantne stvari, draga Vildana!Skoz zanimljiva lista, moji esentiali su totalno drugaciji tako da me je zanimalo sta ti smatras svojim. Divan post.